The rent at Ridgewood House Apartments ranges from $765 for a one bedroom to a $840 one bedroom. Apartments in this building are about 8% more expensive than the Parma average. This is a pet-friendly apartment. This apartment is in Parma. Nearby parks include State Road Park, Hetzer Park and Regency Park. 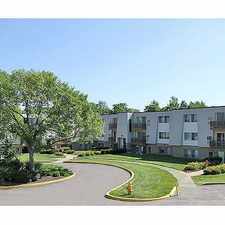 Ridgewood House Apartments has a Walk Score of 22 out of 100. This location is a Car-Dependent neighborhood so almost all errands require a car. Come see our million dollar renovations which include brand new heated indoor pool, new energy rated windows, asphalt parking lot, and bark park! Exceptional floorplans offer you a choice that will suit your needs from one bedroom or two bedroom suites. With superb amenities, you can enjoy a nightly swim in the indoor heated swimming pool or a quick work out in the attached fitness center. A party room is just waiting for you to invite the festivities. The possibilities are endless when you call Ridgewood House home! The finest location in Parma, with shopping, dining and the interstate only minutes away. Explore how far you can travel by car, bus, bike and foot from Ridgewood House Apartments. Ridgewood House Apartments has some transit which means a few nearby public transportation options. 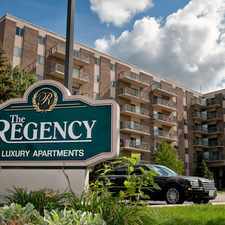 Ridgewood House Apartments is in the city of Parma, OH. Parma has an average Walk Score of 39 and has 81,601 residents.